A little over 45-1/2 years ago, at a few seconds past 6:00AM on Feb. 9, 1971, I was jolted out of bed by a massive earthquake in Los Angeles. Or more accurately, the bed moved so far sideways that I fell on the floor… Perhaps a good thing as the bookshelves over my bed promptly dumped all the books, and shelves, onto the bed which I had recently occupied. Other than the Kern County earthquake in 1952, this was the first major quake in California since the calamitous 1906 disaster in San Francisco. 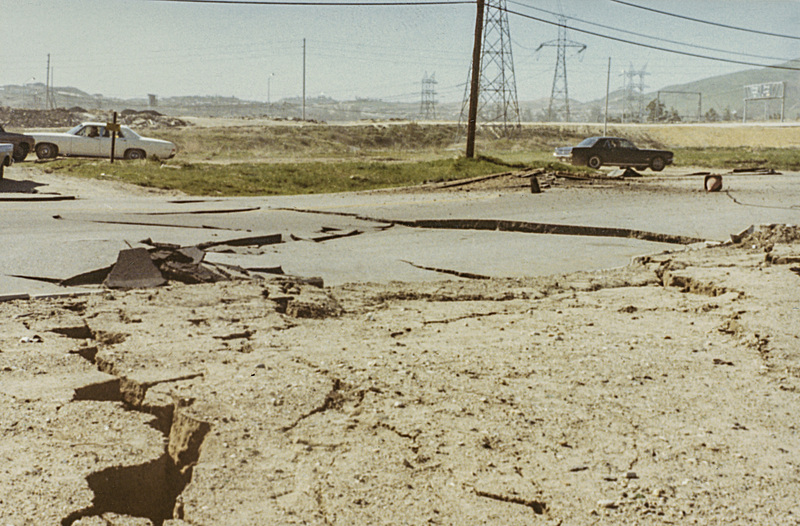 Although I went on to experience two more severe earthquakes in California (Loma Prieta / San Francisco in 1989; and Northridge / Los Angeles in 1994), this was the first in my lifetime. As a high school senior, already accepted to an engineering college where I would study physics – including geophysics (the study of earthquakes among other things), I knew instantly what was happening. The force and sound still marveled me: it was so much greater than I could have imagined. At 6.6 on the Richter Scale, this was a massive, but not apocalyptic, event. 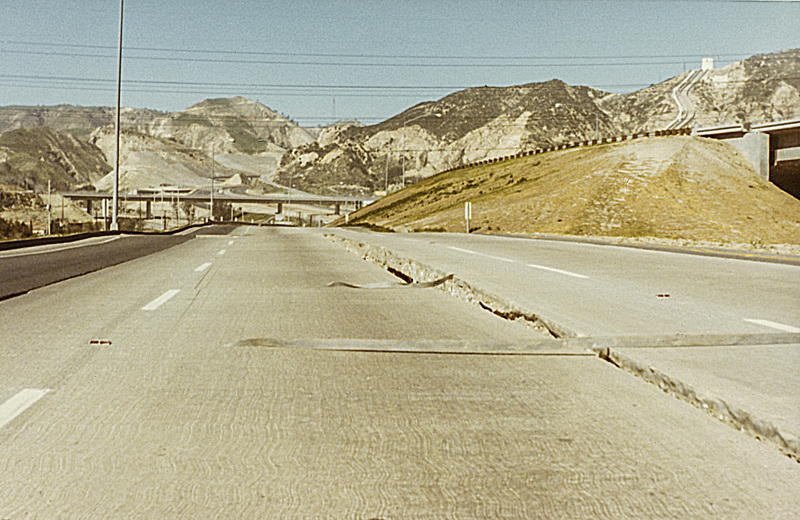 The 1906 quake measured 7.8, the later Loma Prieta was 7.1 and the Northridge was 6.7 – however the ‘shaking index’ – Mercalli Intensity Scale – (a measure of the actual movement perceived and damage caused by an earthquake) of this quake was “XI Extreme”, only one step from the end of the scale which is labelled “Total Destruction of Everything”. 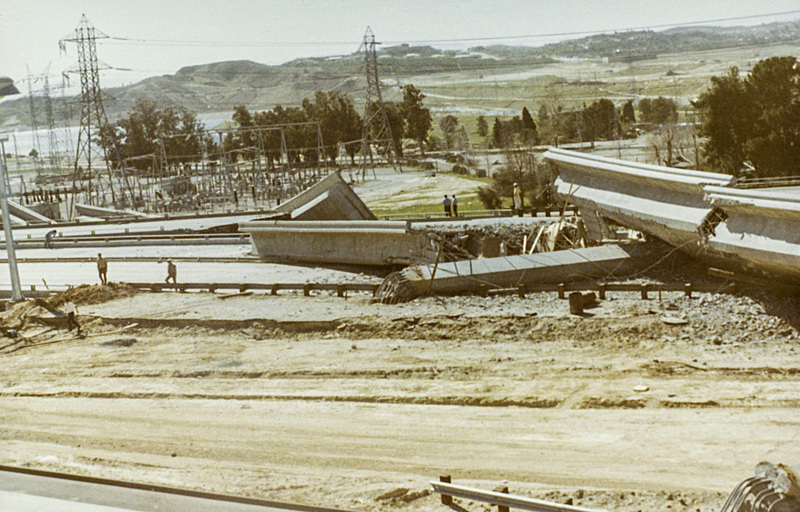 In comparison, both the Loma Prieta (1989) and Northridge (1994) quakes measured “IX Violent” on the Mercalli Scale, two steps below this quake (the Sylmar Earthquake, 1971). The historical San Francisco earthquake of 1906 measured the same (XI Extreme) in four locations just to the north of San Francisco, but the city itself only felt “X Extreme” shaking intensity on the Mercalli Scale. Remember that the most damage in the SF quake was from the subsequent fires, not the earthquake itself. Unless you have lived through a massive earthquake such as this, one simply cannot physically catalog the intensity of such an event. Words, even pictures, just fail. The noise is beyond incredible. The takeoff roll of a 747 aircraft is a whisper in comparison; the sight of the houses across the street rising and falling as if on a wave 20 feet high is beyond comprehension. I will never take the word ‘stability’ for granted again. Ever. We take for granted the earth under our feet is a constant. It doesn’t move. Or it’s not supposed to… the disorientation is extreme. As soon as I had determined that my family was safe, and our home, although damaged, was not in immediate danger (and I had turned off gas and electricity), I got in my truck and headed off to where I had heard on the radio that the epicenter of damage was: the northern San Fernando Valley. 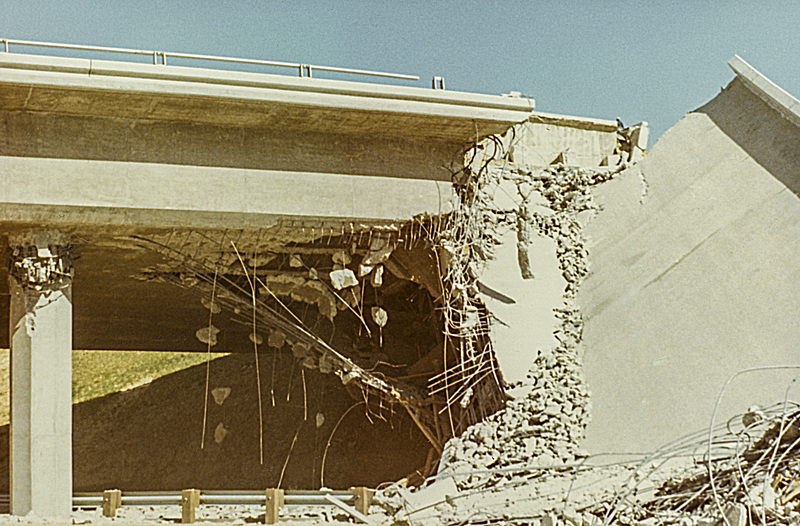 The quake occurred at 6AM, I arrived at the destroyed freeway interchange (for those that know LA, the I-5/Hiway 14 interchange) at about 10AM, when the below images were taken. No police, fire or any emergency personnel had arrived yet. It was surreal, a few other curious humans like myself wandering around – and absolute quiet. 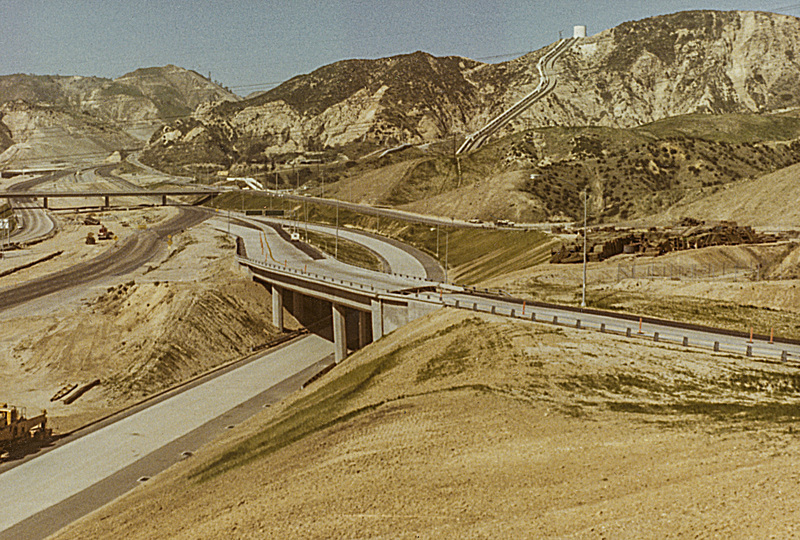 One of the busiest freeways in Los Angeles was empty. The only sound was an occasional crow. The real major calamity (the collapse of the Olive View and Veterans Hospitals, which ended up with a death toll of 62) was several miles to the south of my location. There were cracks in the ground several feet wide and many feet deep. 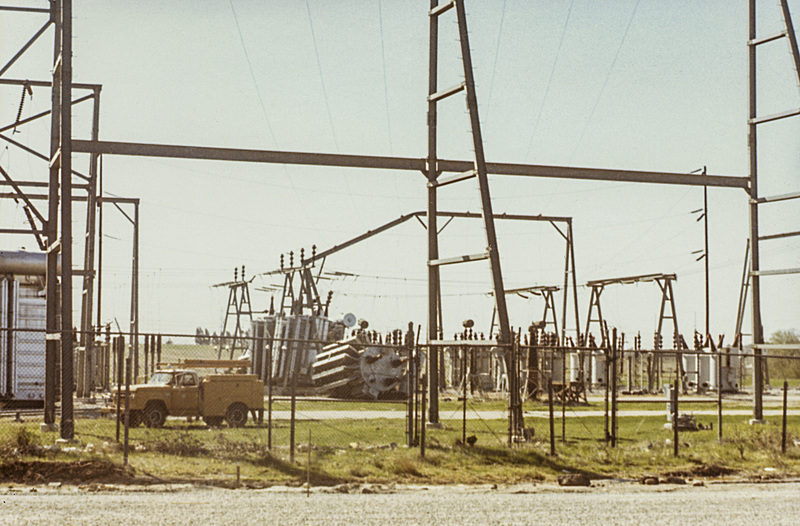 The Sylmar Converter Station (a major component of the LA basin electrical power grid) was totaled, with large transformers laying helter-skelter on their sides. I was reminded of H. G. Wells’ “War of The Worlds” with a strange and previously unknown landscape in front of me. Although I had already been shooting images for almost 10 years (starting with a Kodak Brownie), the pictures below were probably my first real entry into photojournalism and streetphotography. Taken with a plastic (both lens and body) Kodak Instamatic 100 that exposed a proprietary 26mm square film (Kodacolor-X, ASA64) the resulting prints are not of the best quality. While I may still discover the negatives someday in a long-forgotten shelf, all I have at present are the prints from 1971. I’ve scanned, restored and processed them to recover as much of the original integrity as possible, but there is no retouching. 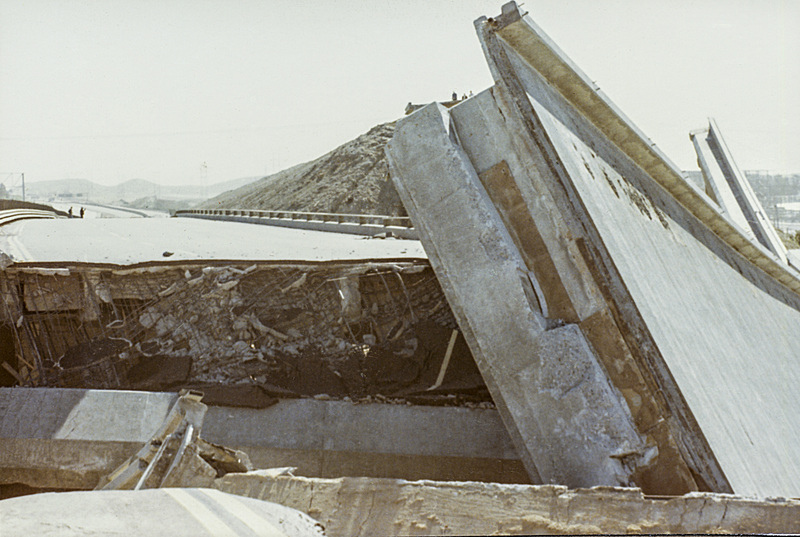 Destroyed overpass and roadway on the I-5. 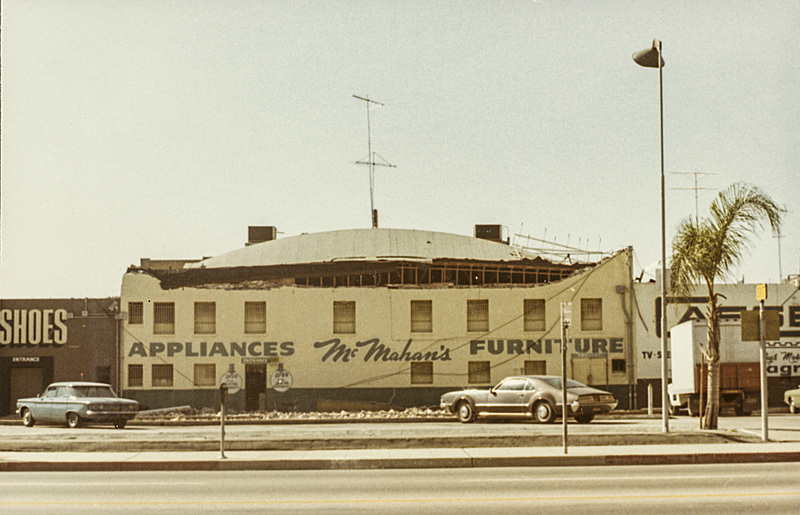 Severe damage to McMahan’s Furniture in north San Fernando. Roadway torn asunder by the force of the earthquake. Fallen transformer at the Sylmar Power station. 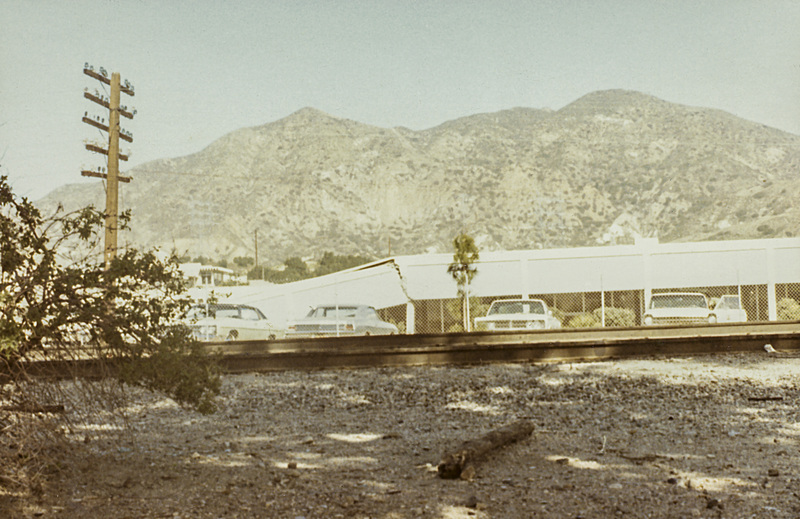 Damaged office building, north San Fernando. 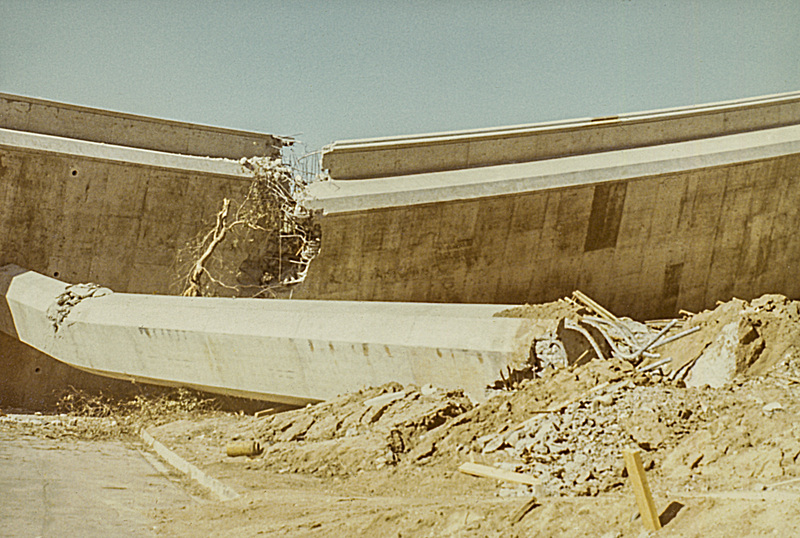 Lateral deformation of the ground near the Sylmar Power station, close to the epicenter of the earthquake. Fallen roadway on the I-5. Observers looking at the earthquake damage to the I-5 a few hours after the initial event. 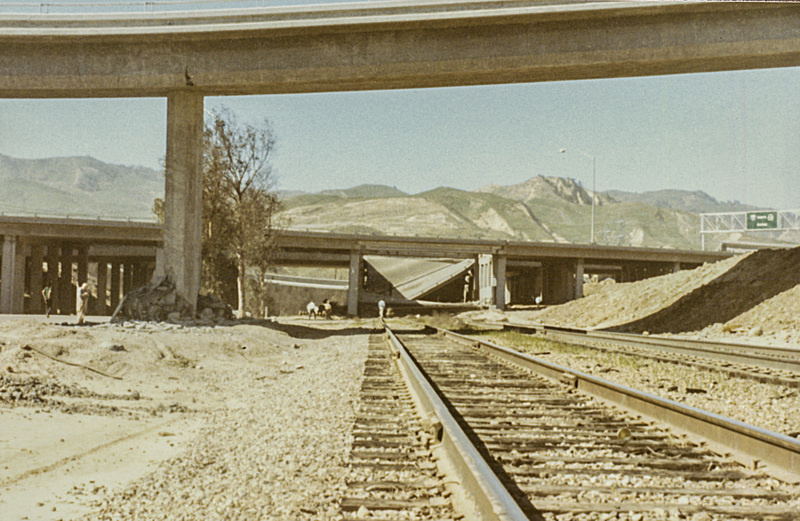 Overpass on the I-5 / Hiway 14 interchange showing separation and subsiding of the roadway. Massive split in the roadway of the I-5, looking north. 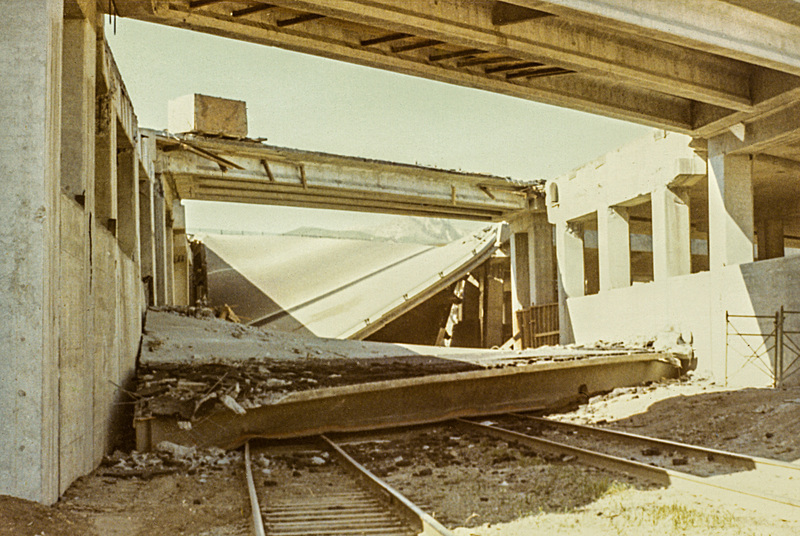 Destroyed overpass on the I-5 freeway. 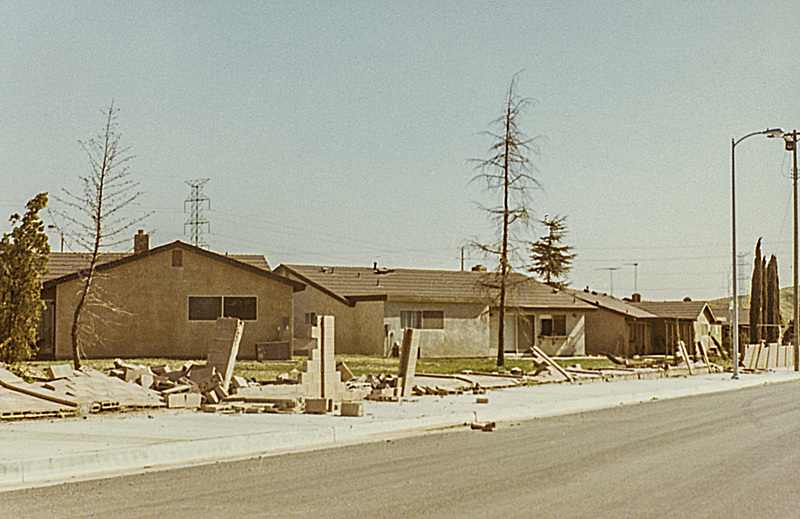 Brick walls destroyed in suburban San Fernando Valley. 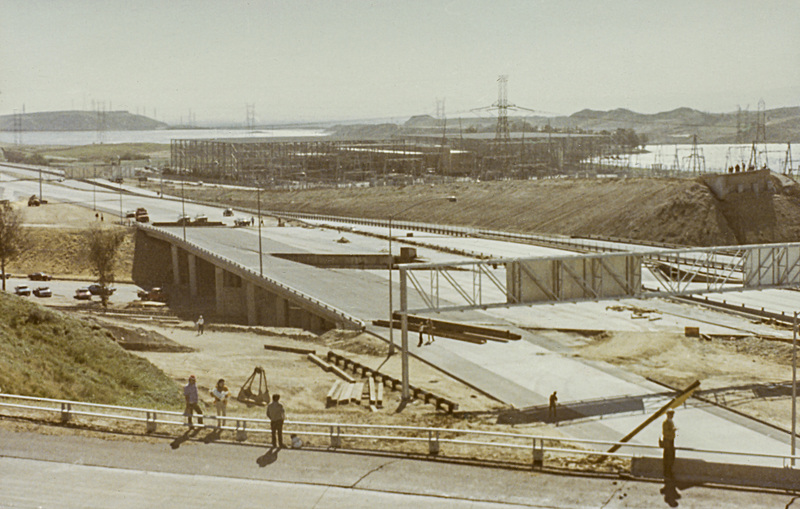 The I-5 / Hiway 14 interchange was still in the final stages of construction when the earthquake hit. This image is deceptive as most of the damage was at the top of the frame. 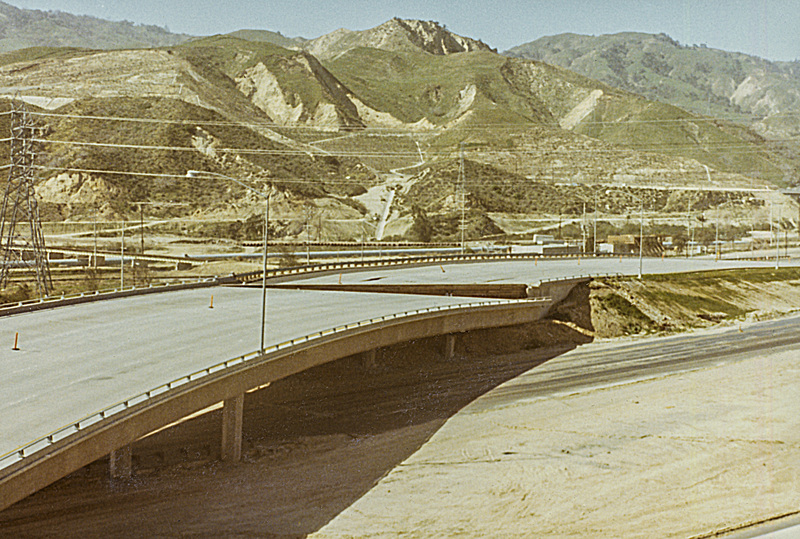 However the roadway that leads in from the lower right is split just after the overpass (detail in another image). 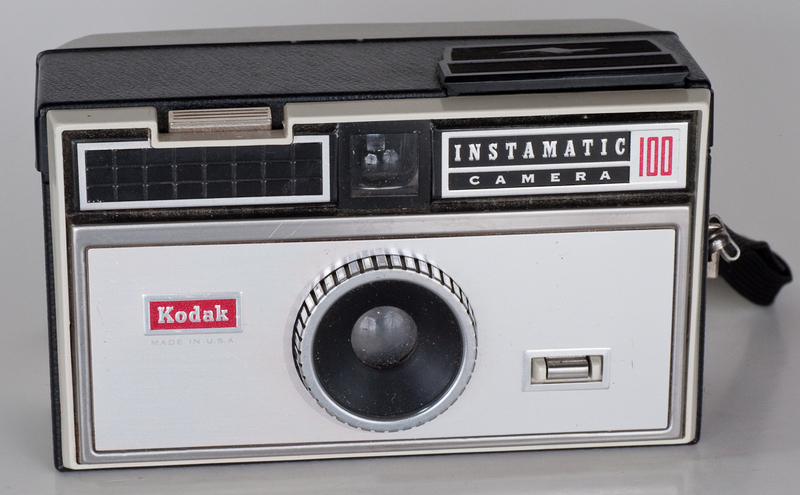 Kodak Instamatic 100, released in 1963 with a price of $16 at the time.